A Sanger, Texas landlord whose tenant was featured in the news has agreed to refund the rent after visiting the property. According to the report, the landlord owns a number of rental properties. The tenant brought in a news team to detail the condition of his rental, including defective plumbing, rodent holes, and mold. According to the tenants, the landlord had agreed to fix the problems, but failed to follow through. As a result, the tenants abandoned the property and moved into a hotel, but kept paying rent under the terms of the lease. After visiting the property, the landlord agreed with the tenants that the conditions were uninhabitable, according to the report. The landlord explained that a repair crew had not performed work as promised, but had taken the money provided to cover repairs. The landlord agreed to refund $2,190 in rent. The landlord says he bought the property as a foreclosure, and had not visited. 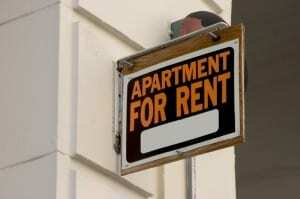 According to the tenants, the landlord advertised that he would accept renters with bad credit or eviction history. The landlord told the tenant that he was willing to rent them another unit. Reporters say that since airing the story, dozens of other tenants of this landlord have come forward claiming they were promised repairs that were never completed.